Scientists using NASA’s repurposed Kepler space telescope, known as the K2 mission, have uncovered strong evidence of a tiny, rocky object being torn apart as it spirals around a white dwarf star. 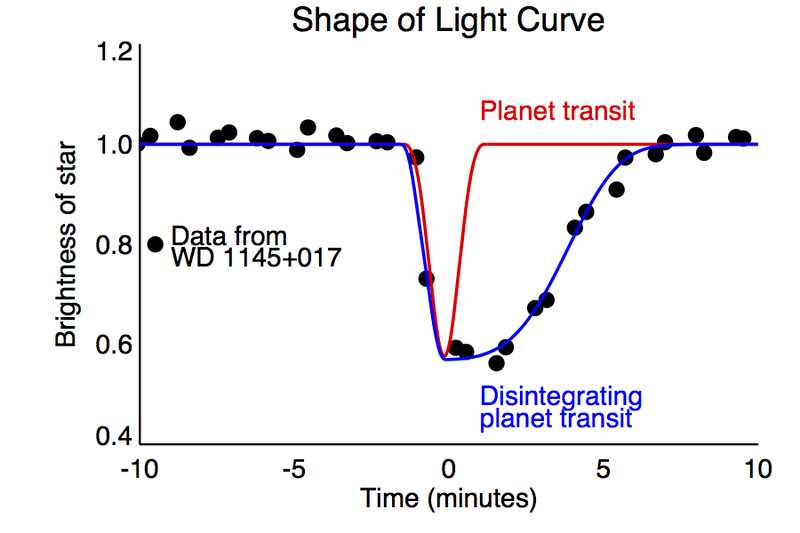 This discovery validates a long-held theory that white dwarfs are capable of cannibalizing possible remnant planets that have survived within its solar system. “We are for the first time witnessing a miniature “planet” ripped apart by intense gravity, being vaporized by starlight and raining rocky material onto its star,” said Andrew Vanderburg, graduate student from the Harvard-Smithsonian Center for Astrophysics in Cambridge, Massachusetts, and lead author of the paper published in Nature. During its first observing campaign from May 30, 2014 to Aug. 21, 2014, K2 trained its gaze on a patch of sky in the constellation Virgo, measuring the minuscule change in brightness of the distant white dwarf. When an object transits or passes in front of a star from the vantage point of the space telescope, a dip in starlight is recorded. The periodic dimming of starlight indicates the presence of an object in orbit about the star. “The eureka moment of discovery came on the last night of observation with a sudden realization of what was going around the white dwarf. The shape and changing depth of the transit were undeniable signatures,” said Vanderburg. Analysis of the star's atmospheric composition was conducted using observations made by the University of Arizona's MMT Observatory. “This discovery highlights the power and serendipitous nature of K2. The science community has full access to K2 observations and is using these data to make a wide range of unique discoveries across the full range of astrophysics phenomena,” said Steve Howell, K2 project scientist at Ames.